We have long been recognised for the care and individual attention given to our children. Having 820 pupils across the age range of 11 to 18, we are a medium sized school in comparison to some other secondary schools which gives us the advantage of knowing our children well and being able to help them become successful members of the wider community. Our children talk fondly of the teachers here and the quality of care that they receive. They have a real sense of pride in being associated with Bryn Elian because we all see ourselves as a family school. At Bryn Elian we strive to meet the individual standards of all our students. To that end we have a well established mentoring programme where your child can discuss his or her progress with a member of staff and realistic targets for achievement are set. Our mission statement “Achievement for All” really underlines our core purpose: to provide your child with a well rounded, supportive education. Here at Ysgol Bryn Elian we have very high expectations of our pupils both in terms of their academic achievement and their behaviour. 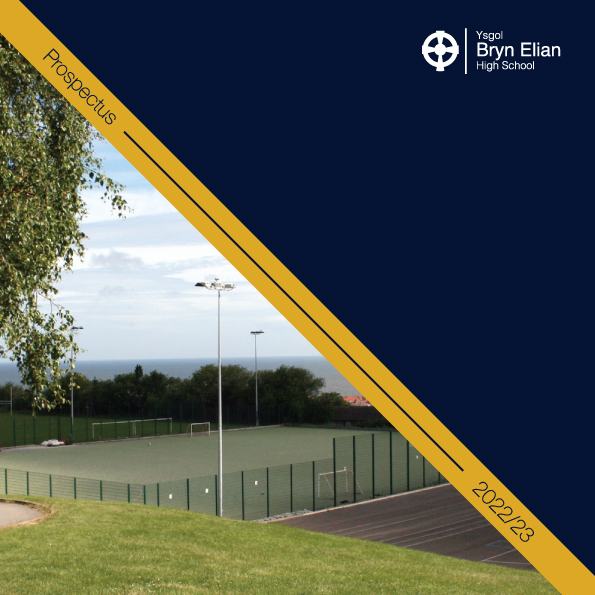 Bryn Elian is a successful learning community, committed to education. We regularly receive awards for our quality of service. Indeed individual teachers too, have received awards for professional excellence. Our curriculum covers the traditional range of subjects as well as having a deserved reputation for innovative curricular design including theWelsh Baccalaureate. We value extra-curricular activities and have a national reputation for our success in the Urdd and in a very well established Duke of Edinburgh scheme. Our theatre productions are excellent and sporting successes numerous. Communication and partnership are vital to the success of our pupils and we will endeavour always to work closely with you for the good of your child. We believe that through partnership with you, your child and our staff, the students will be happy and successful while here at Bryn Elian. Our home-school partnership agreements are to be found in the handbook for Parents and Pupils.